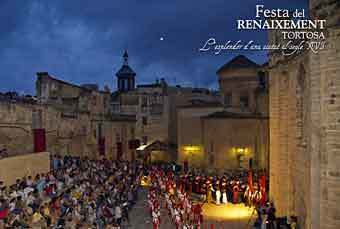 Cadiz, the big city on Andalucia´s Atlantic coast, can proudly claim to have the oldest carnival celebrations on mainland Spain. 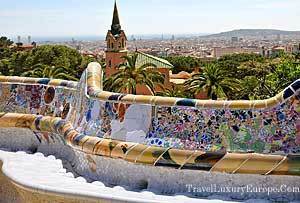 Dating back to the 16th century and influenced by the carnival in Venice, a trading partner of Cadiz at the time. 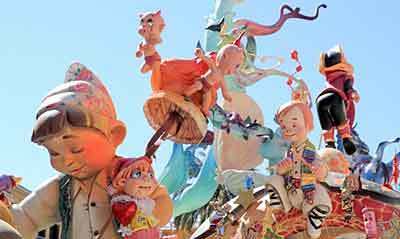 Carnival Cadiz festival rivals Rio in its riot of colors, floats, processions, fireworks and other entertainment. Nearly all areas of Spain celebrate carnival in the period of roughly two weeks before Lent is a time of festivities without inhibitions or disguises. Floats, music and general merry making before Ash Wednesday rolls around and puts an end to the fun. 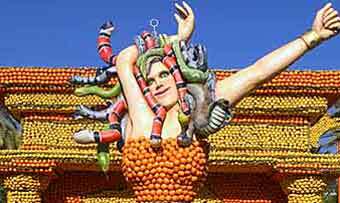 The Carnival of Cadiz is special for several reasons. 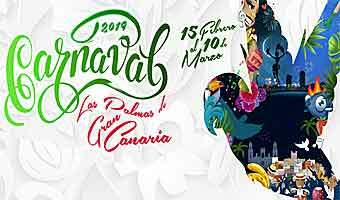 It´s the oldest carnival on mainland Spain, only rivaled by the Carnival in Santa Cruz, Tenerife, on the Canary islands. 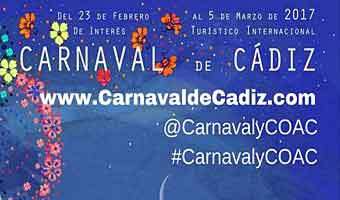 In the 16th century, Cadiz did a lively trade with Venice which brought knowledge of it’s carnival to Cadiz with the result, that a desire arose to imitate the glamorous event. Although there are elaborate costumes, parades and a carnival queen (which Venice Carnival does not have), the emphasis is not so much on glamour as rather on wit and satire. This may well have to do with the fact that the people of Cadiz are considered to be the wittiest in Spain, with a great sense of humor and a sharp tongue. 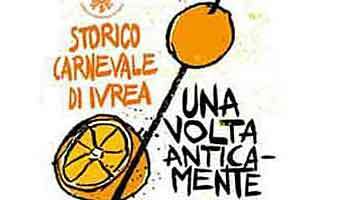 During the Franco regime, carnival was banned for fear of revolt. But, Cadiz resisted and continued to this day. 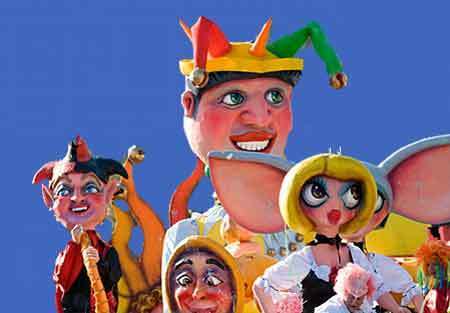 The most outstanding feature of this carnival is music and satire. Singing groups compete starting three weeks before the opening of the carnival. Chirigotas – humorous groups performing satirical pieces. 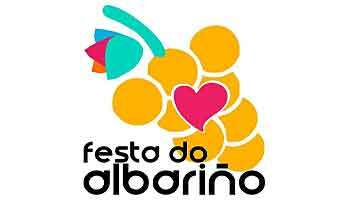 Saturday is the day and night of the biggest street party. People from all over the province and further afar arrive by bus or train, all in fancy dress and you are well advised to dress up too as otherwise you will be considered a spoil sport. 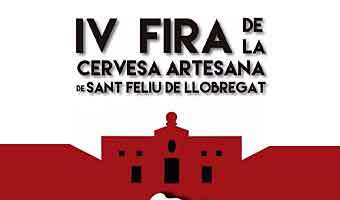 Singing, drinking and dancing goes on all over the city and it´s also the day when the Carnival Queen is crowned. Sunday The main parade when the processions and floats are shown on which the various carnival groups have worked all year. 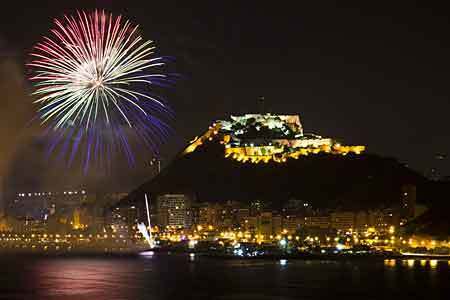 Fireworks all night and the best place to see both is La Caleta. Plaza de las Flores where you can see and hear coros on their carrusels (floats). Plaza de la Catedral where rock bands perform. 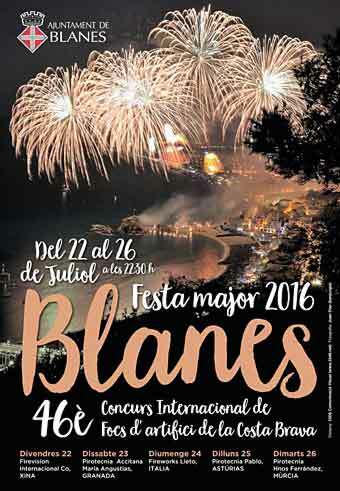 Main shopping streets, Calle Ancha and Calle Columel for illgeales and Plaza San Juan de Dios for daily fireworks. Muppet shows for kids´entertainment and the romanceros whom you´ll find at every street corner. 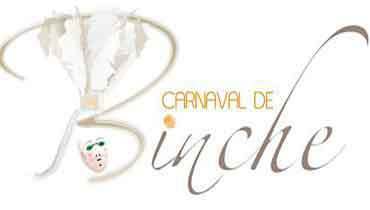 Don´t forget to sample panizada, fried bread with fish roe on Sabado de la Pinata. 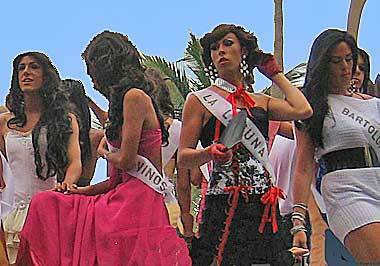 Cadiz is a cosmopolitan city, no foreign visitor will feel isolated as long as they dress up and join in. Visitors are nott meant to be mere spectators, they are expected to join in, especially during the street parties. 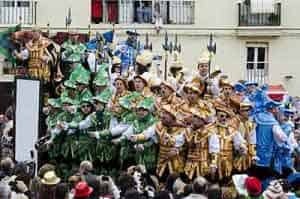 The center piece of Cadiz´s carnival are therefore groups, ranging in number from three to about forty, all dressed in identical costumes, which enter into fierce singing competitions even before carnival proper starts. 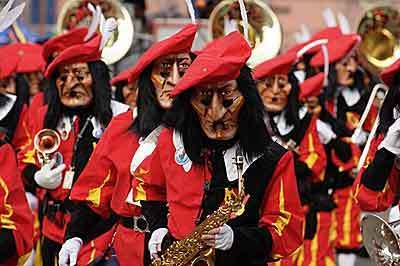 All year long, they work on their themes, costumes and songs which in unparalleled fashion parodise and ridicule Spanish politicians, celebrities and even the church. All is permitted during carnival. The words are often of a high literary quality and written by local authors and poets. The songs are accompanied by rather simple melodies so as not to distract from the words. With all the corruption scandals which have hit Spain in the past year, there will be no shortage of themes. Even if you don´t speak the language, never fear. The costumes and performance itself will make everything clear. Music is as important as the songs performed by the choirs or chirigotas. A unique mixture of flamenco, tango, pasodoble and folk music as well as South American rhythms can be enjoyed at every street corner. There is even a place for classical music which is the specialty of the so called comparsas and jazz. Instruments are mostly drums and guitars. 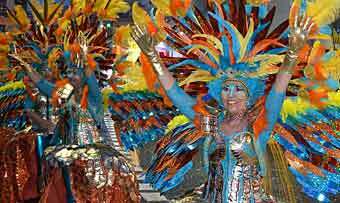 Music, song and color are the essence of Cadiz´ carnival rather than outrageous glitz and barely any costumes like in Rio. 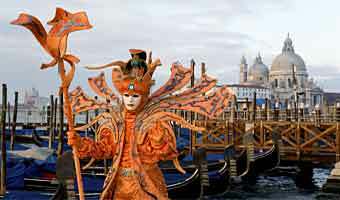 Any kind of costume will do and unlike in Venice masks are not worn often. Instead faces are painted if only with ample amounts of lipstick. 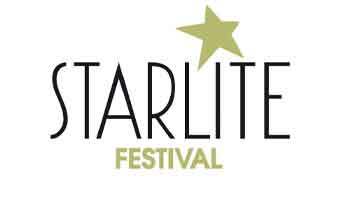 As always, it’s recommend to book well in advance when you want to visit a big event and festival like this.